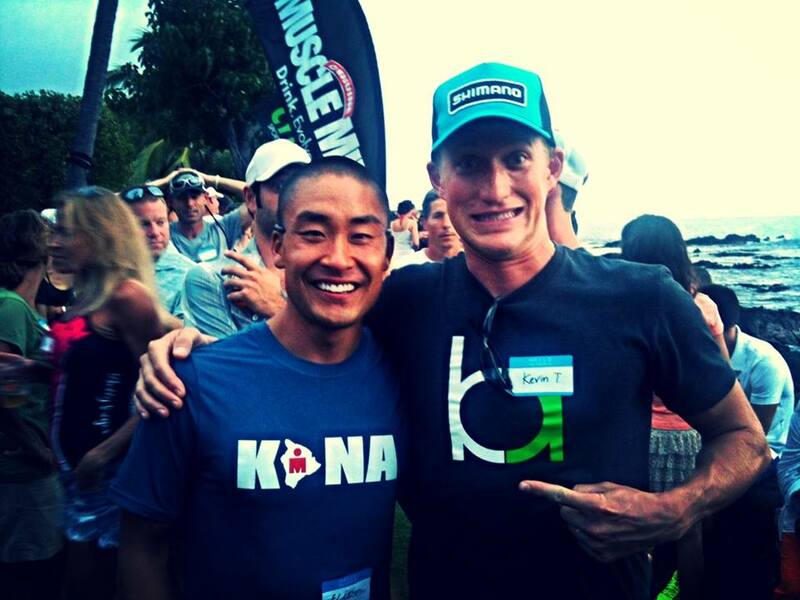 After going beast mode in Canada and earning a coveted slot to the Ironman World Championship, I took all the pressure off myself. All the hard work had been done. 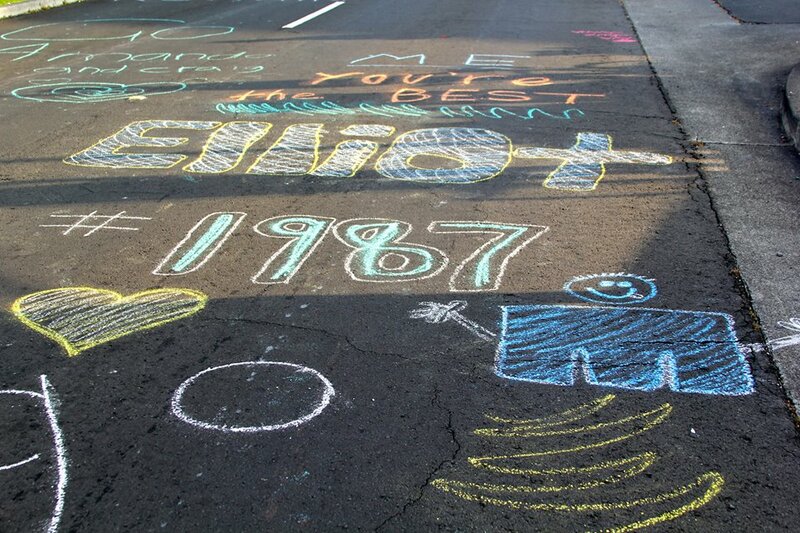 My goal was to enjoy every single moment during my first trip to the Big Island. 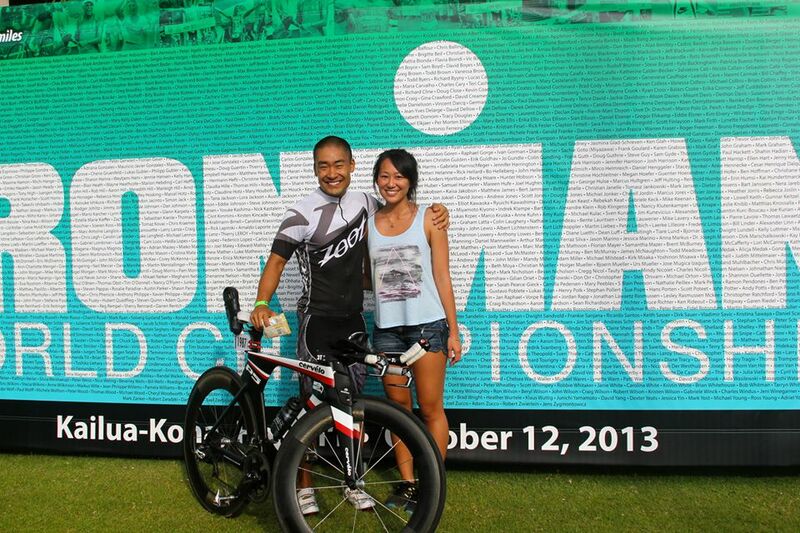 Kona was icing on the cake, my reward, for several years of hard work and determination. Best part of it all? 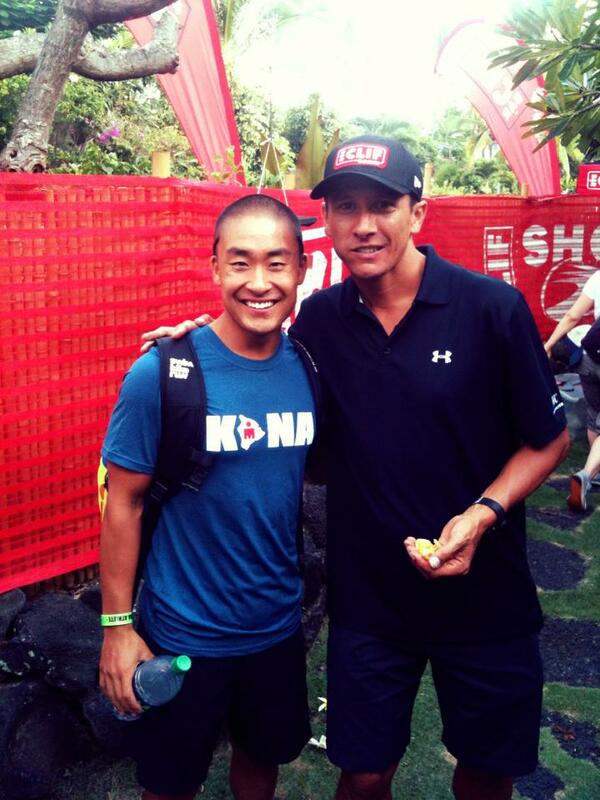 My ohana came to cheer me on!!! 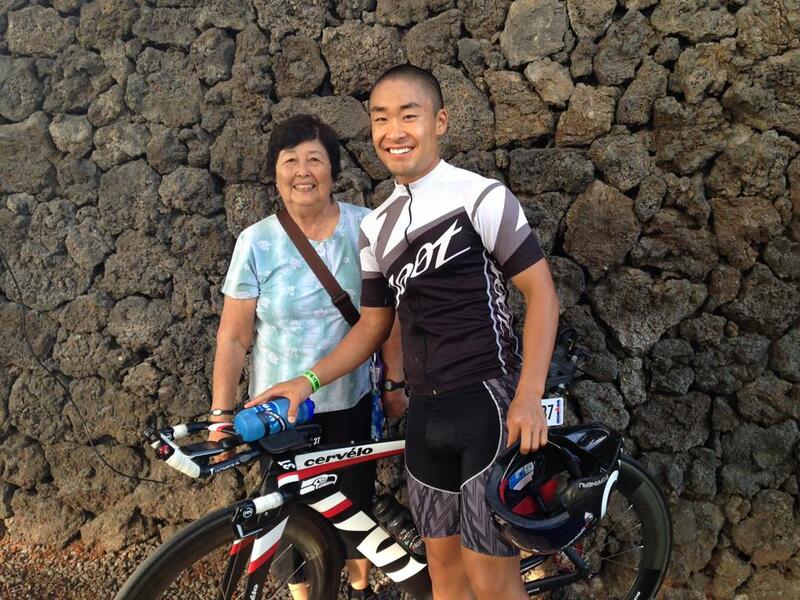 My Grandma Rae was a trooper spectating my Ironman event all day long. She recently celebrated her 80th birthday. I’m trying to talk her into triathlon as we saw an 81 year-old finish around midnight! She might be battling Sister Madonna in the lava fields soon. 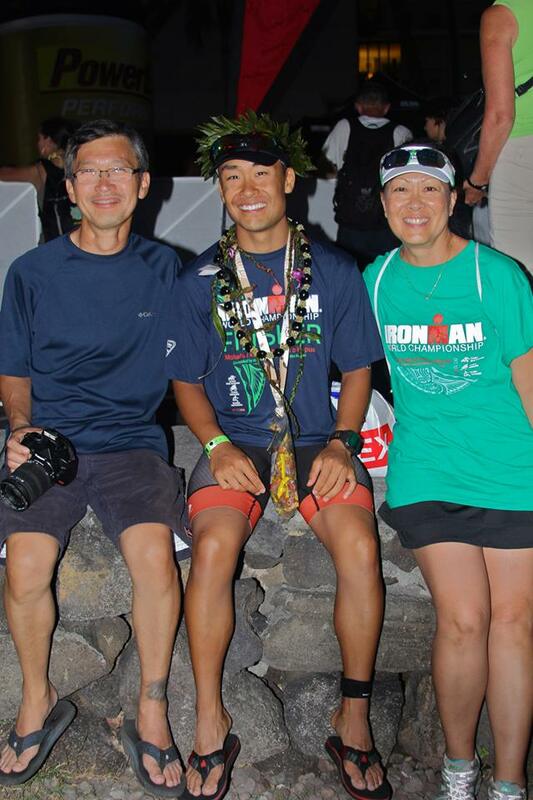 Auntie Alva, Uncle Lee, Sherie and Cody – Huge thanks for flying me to Kona, cheering, and stuffing my face with delicious Hawaiian food after the race. 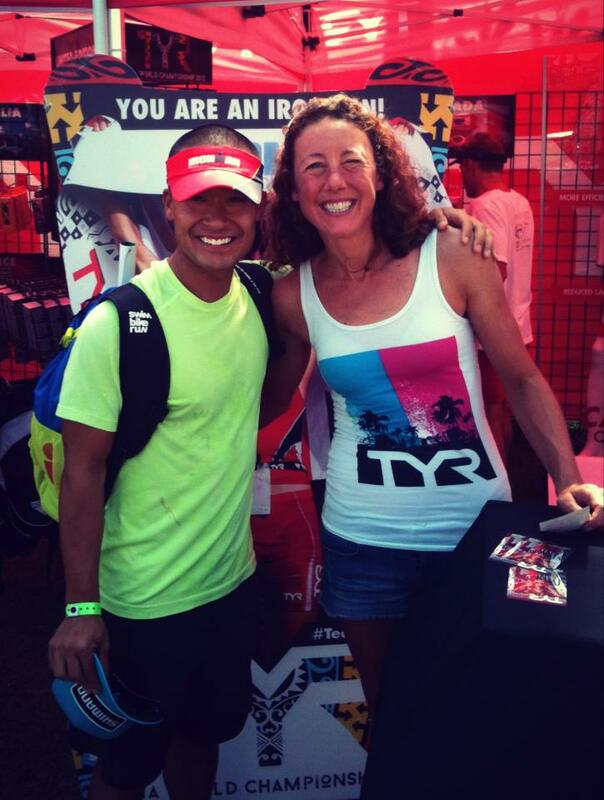 My parents – They are always there for me and make it to all my big races. They will always be my #1 supporters. Love you Mom and Dad! 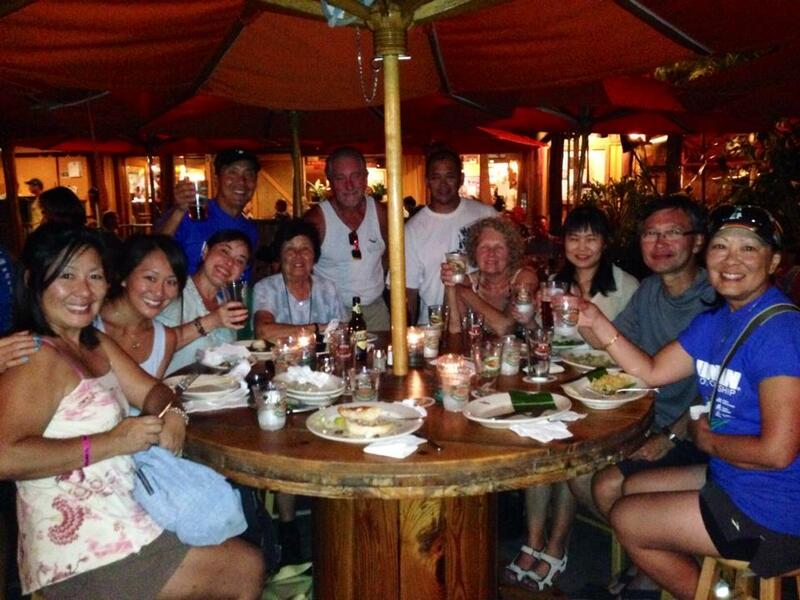 More family and friends– so great catching up with all of you!!! My Canada cheer squad was also in attendance: Uncle Derek (from Washington), Deb, and Jovie (from Arizona). 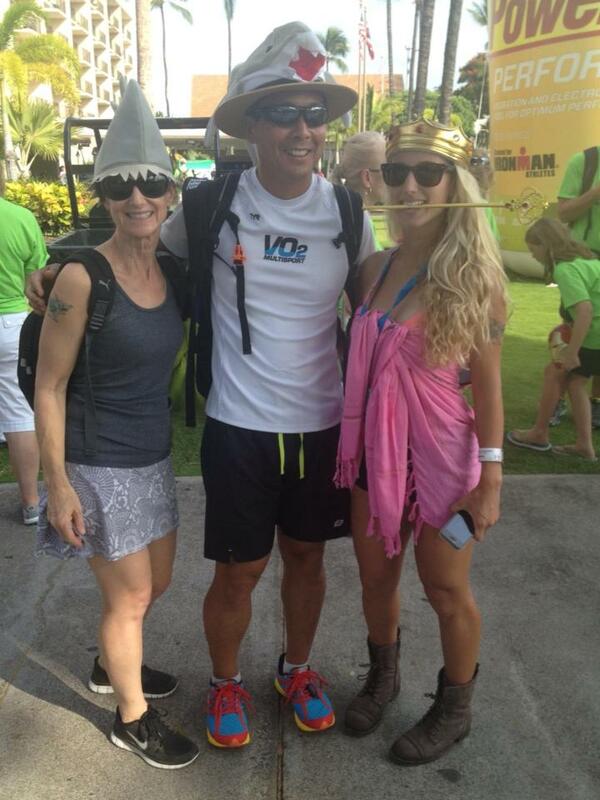 Their outfits this race– sharks and the legendary “Queen K.” Check out dem boots! And even caught Macca eating potato chips! Eating is cheating dude. My family made some pretty awesome signs. Go hawks! This sign in Hawi was my favorite. 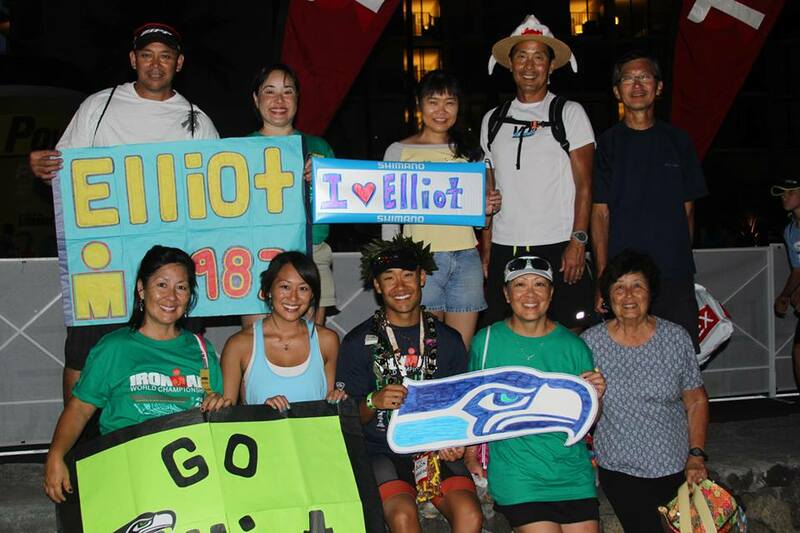 Mahalo to my relatives (the Sugiyamas) in Hilo for cheering for me! I got pretty caught up in all the pre-race activities. Check out this amazing swag from the expo! I’d also like to thank my ONE Multisport family in Arizona, Nick Goodman (my coach), and all my friends who have supported me throughout this amazing journey. 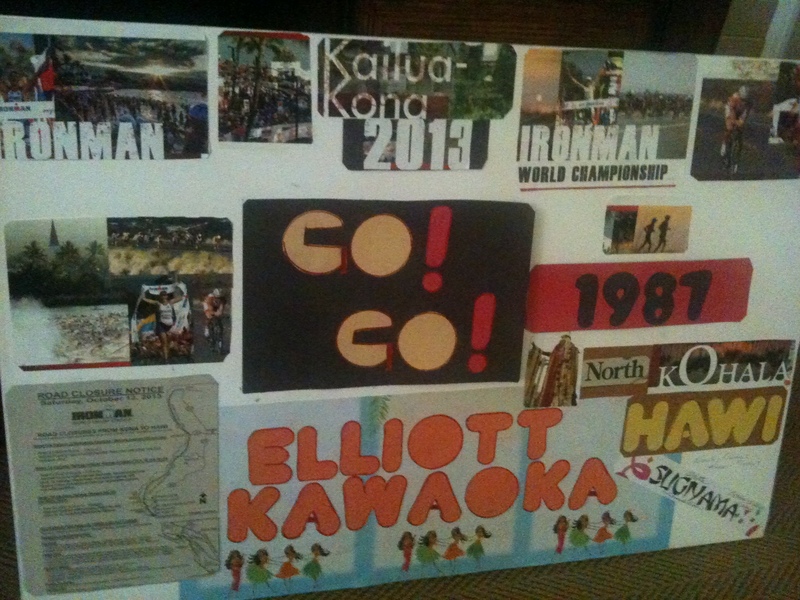 It has taken huge sacrifices and determination for me to get to Kona. 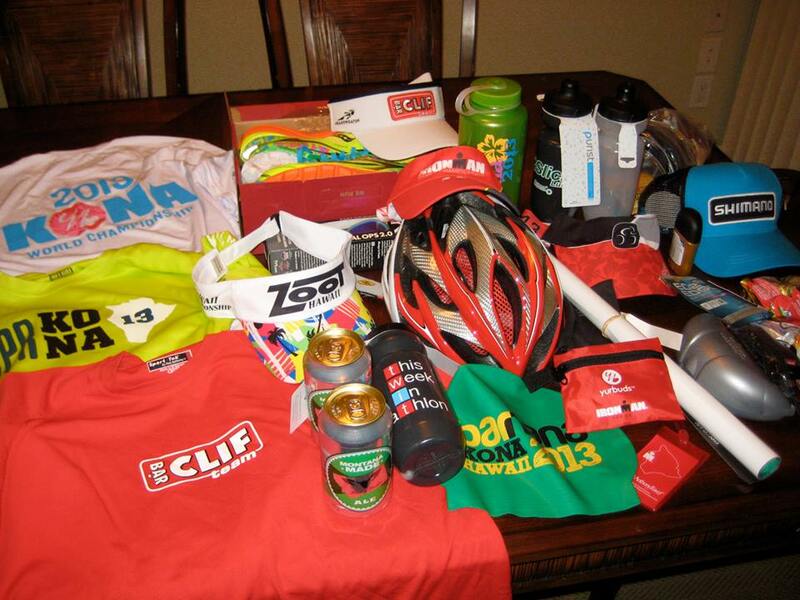 To put it in perspective– approximately 80,000 triathletes compete at Ironman events a year, and only 2,000 earn their way to this highly sought-after race. 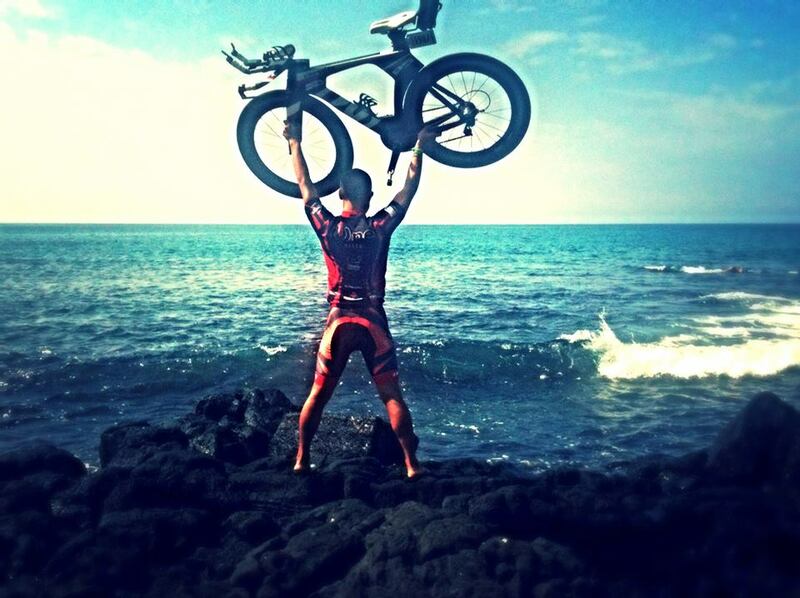 Kona is the Superbowl of triathlon. No matter what the day brought, I was going to make it a fun experience that I could cherish for the rest of my life. 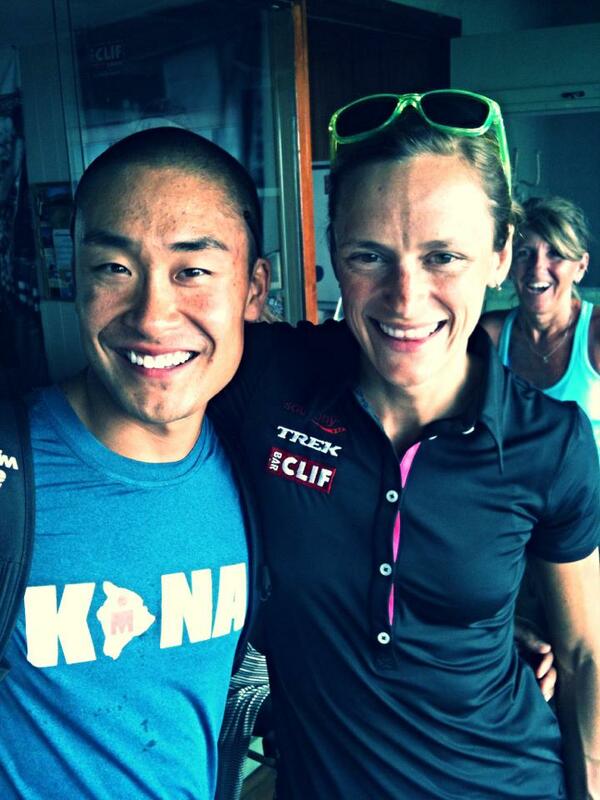 My main goals for race day: smile, thank volunteers, and soak it ALL in. I had the time of my life. 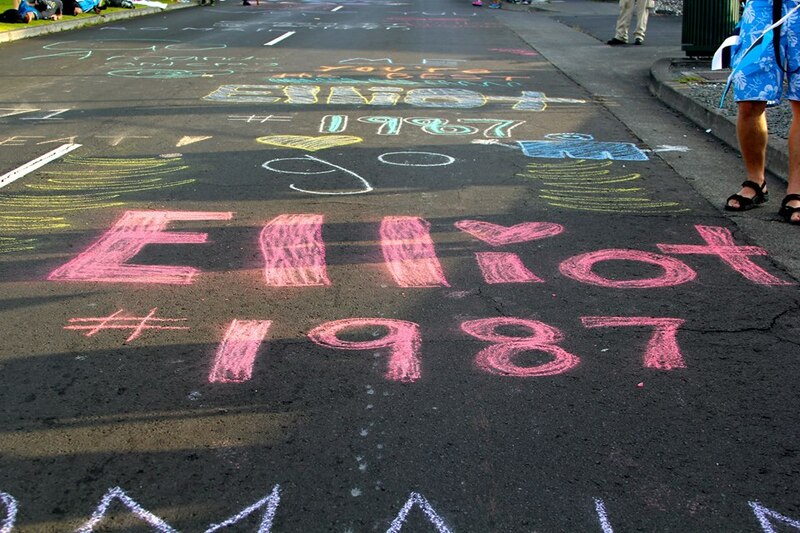 Climbing to Hawi, battling the legendary heat and humidity (and some winds), running through the Energy Lab, competing with the best endurance athletes in the world, finishing along Ali’i, and doing calisthenics at the underpants run… Kona was truly a magical place. Nice pics and report so far Elliot,look forward to the rest !